This course is essential for anyone who is looking to start in the Arb industry. 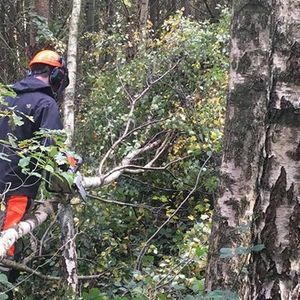 The training covers everything from health and safety, rules and regulations, correct maintenance techniques and principles, safe starting of a chainsaw, handling techniques, different kinds of felling cuts and when to apply them. dealin with hung up trees, different methods of timber extraction and much much more. This course is run over five consecutive days with a City and Guilds assessment taking place on a sixth day. The total cost for the course is £695.00 this includes all training fees, assessment fees and registration with City and Guilds. 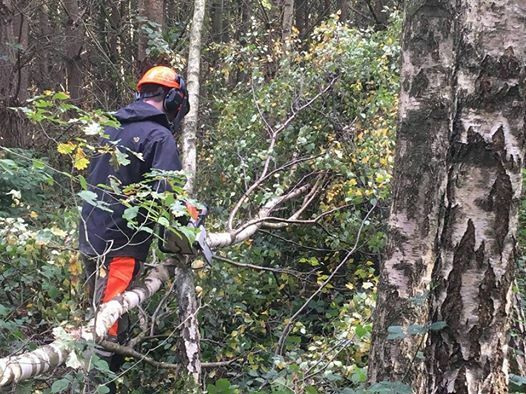 If you havent got the equipment, dont worry here at A&J Arb Training we have all the resources covered and can arrange hire of a chainsaw and the tools required for the course. For any more info please get in touch.